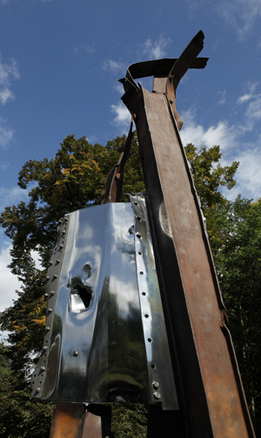 Creator: Sculpture created by Miya Ando, using WTC fragments gifted to the UK by the Port Authority of New York and New Jersey in 2010. 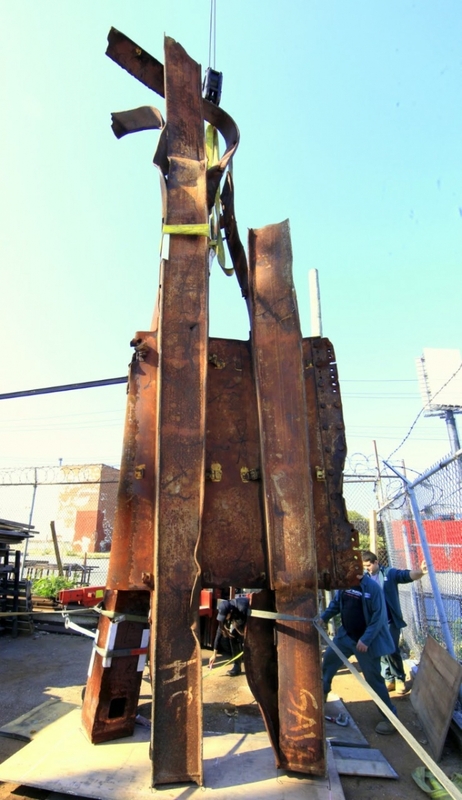 Description: Sculpture made from three World Trade Center steel girders erected vertically honors 9/11 victims, including the 67 British victims. Artist Miya Ando polished a plate of World Trade Center steel, attached to girders, to reveal a shiny, reflective surface. Located in Queen Elizabeth Olympic Park.